The Griffin Half Moon proposed timber sale is just one of the first proposals under the new Southwest Oregon Resource Management Plan. We are seeing a new wave of BLM timber sales, and we need you to stick with us for updates on how to support wildlife. The new 2016 Southwest Oregon Resource Management Plan for BLM forests is at the beginning stage of implementation following a Record of Decision signed in August of 2017. This new set of forest management standards relieves the BLM from following the previously dictated Northwest Forest Plan that emphasized protecting and restoring old growth forests, wildlife habitat, and clean water. The checkerboard land ownership pattern of the Oregon and California Railroad created in the late 1800s has been the subject of a long, convoluted debate regarding land management and continuity. The BLM manages 2.5 million acres of public land within this checkerboard ownership, consistently switching every square mile from public to private land. In 1937, Congress passed The O&C Re-vested Lands Sustained Yield Management Act which provided for permanent forest production. After 50 years of intensive logging, the need for endangered species protections for wildlife resulted in the 1994 Northwest Forest plan. This paramount document has governed the land management of the Forest Service and the BLM to mitigate widespread habitat damage done on O&C lands over the last 20+ years. The Northwest Forest Plan was adopted to address the dual concerns of economy and the threatened wildlife dependent upon old-growth forests. A team of 600 specialists drafted the Northwest Forest Plan. U.S. Forest Service and Bureau of Land Management (BLM) lands within the range of the northern spotted owl (mostly west of the Cascades, including Washington, Oregon, and Northern California) were then governed by the rules of the NW Forest Plan. This balance of duality wasn’t perfect for any stakeholder. The timber industry called for less regulations and the environmentalists called for more. Under the George W. Bush administration, the BLM and logging stakeholders conferred with each other to propose the Western Oregon Plan Revision (WOPR) which would have increased logging and clearcutting old growth forests, degraded habitat for the Northern Spotted Owl, further threatened enlisted fisheries and clean water in attempt to depart from the science based environmental protections established under the North West Forest Plan. Soon after the death of the WOPR, the BLM underwent yet another planning process to revise their resource management plans. As of August 5, 2016, the BLM issued a final decision, the Western Oregon Resource Management Plan, or it’s nickname "WOPR Jr."
WOPR Jr. will guide BLM decisions on how to manage 2.5 million acres of public lands. There are some significant departures from the Northwest Forest Plan contained in the WOPR Jr., and we are starting to see a new wave of timber sales under this new plan. THE MEAT OF WOPR Jr. The WOPR Jr. divides the 2.5 million acres managed by the BLM into different land use classifications, including – late successional or old growth reserves, riparian reserves, harvest land base ranging from low to high intensity timber harvest, recreation management areas, and other special designations – while reducing buffers of protection for streams and waterways, wildlife, and increasing larger and more destructive canopy clearing timber harvests. Survey and manage mitigation provides protection for approximately 400 species that are associated with older forests. Scientists considered most of the species to be rare or knew little about them. The Survey and Manage standards and guidelines were developed to help assure persistence of the species thought to be closely associated with late successional and old growth forests. Surveys were required prior to habitat-disturbing activities and often habitat buffers were established to protect the species in question. Those protections are eliminated in the WOPR Jr and the BLM now is proposing projects to log the habitat of known, occupied survey and manage species habitat like the Great Gray Owl. 1. Maintain and restore the distribution, diversity, and complexity of watershed and landscape-scale features to ensure protection of the aquatic systems to which species, populations, and communities are uniquely adapted. 2. Maintain and restore spatial and temporal connectivity within and between watersheds. Lateral, longitudinal, and drainage network connections include flood plains, wetlands, up slope areas, headwater tributaries, and intact refugia. These lineages must provide chemically and physically unobstructed routes to areas critical for fulfilling life history requirements of aquatic and riparian-dependent species. 3. Maintain and restore the physical integrity of the aquatic system, including shorelines, banks, and bottom configurations. 4. Maintain and restore water quality necessary to support healthy riparian, aquatic, and wetland ecosystems. Water quality must remain in the range that maintains the biological, physical, and chemical integrity of the system and benefits survival, growth, reproduction, and migration of individuals composing aquatic and riparian communities. 5. Maintain and restore the sediment regime under which an aquatic ecosystem evolved. Elements of the sediment regime include the timing, volume, rate, and character of sediment input, storage, and transport. 6. Maintain and restore in stream flows sufficient to create and sustain riparian, aquatic, and wetland habitats and to retain patterns of sediment, nutrient, and wood routing (i.e., movement of woody debris through the aquatic system). The timing, magnitude, duration, and spatial distribution of peak, high, and low flows must be protected. 7. Maintain and restore the timing, variability, and duration of flood plain inundation and water table elevation in meadows and wetlands. 8. Maintain and restore the species composition and structural diversity of plant communities in riparian zones and wetlands to provide adequate summer and winter thermal regulation, nutrient filtering, appropriate rates of surface erosion, bank erosion, and channel migration, and to supply amounts and distributions of coarse woody debris sufficient to sustain physical complexity and stability. 9. Maintain and restore habitat to support well-distributed populations of native plant, invertebrate, and vertebrate riparian-dependent species. The BLM is now in process of planning and implementing timber sales under WOPR Jr. in which Survey and Manage Standards and Guidelines and the nine Aquatic Conservation Strategy principals are no longer required or considered. Reduces streamside no-logging buffers along fish and non-fish bearing streams: The Northwest Forest Plan’s protections of streamside buffers in some Riparian Reserve classifications are cut in half. Seasonal stream protections have been given the most reduction placing previously protected Riparian Reserves open to harvest. The WOPR Jr. puts drinking water, salmon and steelhead runs, and wildlife who depend on this buffer for habitat in greater risk. More intensive logging across land classifications: The reduction of Riparian buffers makes more land available for timber harvest. Though more of SW Oregon’s older forests are placed into late successional reserves (LSR) under the WOPR Jr. than the NW Forest Plan, the silviculture prescriptions for LSR land classifications to not identify a maximum size tree to be protected. Classifications for their Low-Intensity Timber Harvest Land Base Area call for retention of only 15-30% of pre-harvest living trees. Meaning removing 70-80% of canopy cover is considered low harvest. 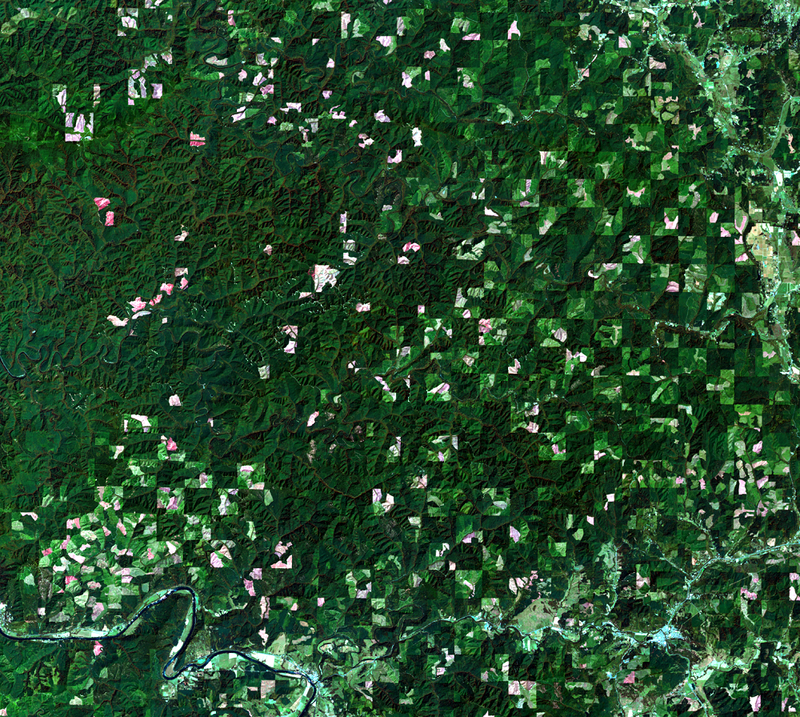 Logging tactics are focused on commercial logging and regeneration harvest, not thinning existing fiber plantations. At the expense of degrading habitat, logging will generate more money for the timber industry as cutting in previously protected areas is opened. The BLM is just starting to release scoping documents under the implementation of the WOPR Jr. After a scoping field tour with the BLM to logging units proposed in the Griffin Half Moon Vegetation Management Project (2018), it is disappointing to see the BLM’s intention to target known, occupied, great gray owl (GGO) sites for intensive logging. The Ashland Resource Area recently elected to drop these sites from previous timber sales specifically to avoid harm to the species from logging activities such as those proposed in Griffin Half Moon. The agency’s proposal to revisit that decision in order to maximize timber production necessitates completion of a deeper environmental review to move forward with this timber sale. Without survey and manage to ensure the presence or nest sites of Great Gray Owls, the BLM now intends to implement logging in Great Gray Owl habitat that was dropped (buffered) from the previous Swinning and Howard timber sales by the Ashland Resource Area. The WOPR Jr. isn’t the have it your way sandwich that its name implies. Cutting protections and ecosystem recovery mitigation measures for endangered and threatened wildlife that call southern Oregon home is not sustainable forest management. Logging in known Great Gray Owl habitat in previously dropped units to push timber interests without environmental sideboards is a greasy way to do business. Stay tuned with our Action Alerts to know when there are open public comment periods for these upcoming timber sales. Join the fight to defend these rare threatened species.